It won't be a problem as long as both of them play at a high level. If one falters, then their approach will be looked at with more scrutiny. So lets just hope we can continue to improve. The best thing we can do is play as a team and stay focused. In the end, talent is a big indicator of who wins as well, and Luck and Nelson will be depended on. Coach Reich just has to come up with a gameplan that fits everyone and sell them on it. As long as the team is one unit and plays well, this shouldn't be an issue. I take it as your own theoretical projection, which is fine. It's not something I'm worried about. I'm mentioning my opinion of some of the stuff Nelson gets "credited" with, but I don't think he's a bad guy or a bad teammate, and I don't think there's necessarily a clash with anyone else on the roster. And if there was, between Ballard, Reich, Luck and Nelson himself, I'm sure it would get handled appropriately before it became a problem. Whatever differences in personality that might exist, I don't view them as a threat to the team's culture or identity. 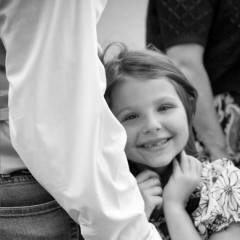 Not sure it is the macho tude as it could be we were all craving some nasty, meanness in someone to light a spark. I agree there is no reason to be nasty towards personnel within our organization, but i have zero problem with "hatin" the enemy on the field. He wont go all Burfict on people, guaranteed. Neither do I, and I hope that's been made clear with my [too many] posts in this thread. So, it's okay for you to say you don't like something Luck did on the field but it's not okay for @Superman to say he does not like something Nelson did on the field? You are one of my favorite posters on this forum wool but it seems that your are arguing with Super not because he's wrong but just because he reacted differently than you. You're struggling to grasp the point. Or pretending to not understand. The bolded is probably the best explanation for why: you reject data when it doesn't support your preconceived notions. Your anecdotal "evidence" is more important to you than actual facts. And you don't have to click the link, just read the quotes. It's obvious that Andrew Luck's responses to opponents is more likely to get in their heads than to give them an edge over him. And again, if you don't want to talk to the opponent during the game, I'm fine with that, but don't impose your style on me. Luck is a perfect example of why. Its fine we disagree. Neither is right or wrong really.... this is subjective. And yes, with my background i tend to use my experience over obvious fluff articles, facebook, youtube, presidential speeches, best buy employees, etc. Heck, i've caught doctors making mistakes. None of us have all the andwers all the time. My reaction was because Q was being treated like a thug who runs around spewing foul language and insulting everyone. That is a bit of a stretch. I don't think anyone is treating Q like a thug. I didnt think i was arguing, merely pointing out that football isnt a daisy-sniffing contest. Arguing may not have been the most accurate word. As far as the rest... again no one ever said anything other than he didn't like Q telling other Colts how to react. Who said that is what should happen or anything? My only point was you stated that you didn't like a certain aspect of what Luck does on the field but then you want to argue with (debate if you like that word better) with @Superman because he didn't like a certain aspect of what Q did on the field. I'm just pointing out that you are doing the same thing with Luck that Supe is doing with Q.
Q was being treated like a thug who runs around spewing foul language and insulting everyone. I certainly never suggested that. I don't think anyone else did, either. I'm not offended, and I don't take it personal. Thanks. @Superman I think you are taking the supposed 'incident' with the media person too seriously. The way he tells the story it sounds to me he's doing in more of a joking way and I don't even know if it's entirely true. We don't know what their relationship is, they might be friendly. He sounds like he was * off at the time, but it also seems like he puts some humor into it. For example, in the interview he said he sent the venmo request to the guy for the amount of the fine... which if you imagine the scenario is kind of hilarious having in mind the number(27K) and the supposed salary of a social media guy. Now, I might myself be doing some unwarranted assumptions, but honestly... I had no idea what to expect from Quenton, because he doesn't give interviews, but in that one interview he showed very high level of self-awareness and very low levels of self-importance(things that in my personal experience are the last thing you would see in a jerk/bully type). It's very hard to tell from an interview whether he's a jerk or not, but I really haven't seen anything from him to suggest he is one. Well... with the exception of how he treats his opponents on the field, but even then you can see that he does what he does to the whistle and then lets go and doesn't even say a word to the opponents. To me he looks like a total badass on the field and he does look like somewhat shy/awkward socially off-the-field. @stitches It's entirely possible that I missed the subtext in Nelson's story about the media guy incident, and that I just didn't get his sense of humor. I'm mostly taking him at his word, but the whole thing might have just been a joke. I just want to reiterate that I'm not calling him a bad guy, a bully, a jerk, or anything like that. About the media incident, if it's true and it happened the way I thought it happened, I think it's unprofessional, but I'm not broken up about it. What's interesting to me is that this kind of stuff seems to make him more popular. Some seem to be drawn to him because of this, while I find it somewhat off-putting. I agree about him telling the story and exaggerating it to make it sound funny. That is why I think people are taking it way to serious when it comes to the media guy. He is a great teammate. I don’t think any teammates are disliking him for telling them to not talk to the opposing player. I've been out most of the day, and I'm home now and I see that this thread has caught fire. And it must be the off-season, when threads can often go sideways simply because too many posters here have trouble with READING COMPREHENSION. At no time did Superman say he didn't like Nelson's playing approach. Not once. What he did say is he didn't want Nelson to impose his view on any teammate. And I happen to agree with that. There's a fine line between handling your own business and telling someone else how to handle their's. You don't want to cross it. Superman is hoping Nelson's super aggressive attitude doesn't rub teammates the wrong way. Again, I agree. No one is calling Nelson dirty. No one is asking him to dial it down for himself. Just be respectful to your teammates. 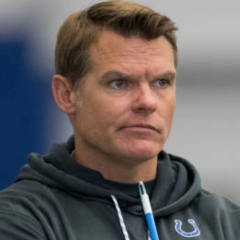 And ultimately, it will be handled by the coaching staff first, and by Chris Ballard if need be. But I don't think it would get that far. I think IF there was a problem, it would be handled by the new offensive line coach, or perhaps Mudd, and if necessary, by Reich himself. But to be clear, I'm not the least bit worried about it. On the list of things to be worried about for the Colts, this one is not even on my radar. I think Nelson is a good kid. He's a smart kid. I expect he'll figure it out. Maybe he'll need some help, maybe not. But this thread is making way too much out of way too little. Not sure what there is to figure out. Howard Mudd likes him just the way he is. 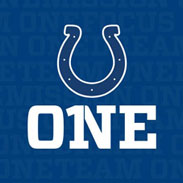 I believe 31 other teams notice Luck and his goofy antics, and they put a "label" on us based on Luck being the QB. Nelson is the antithesis of Luck, so he has the burden of changing that label and making teams take us more seriously than just a "soft and nice" team. He has done that to an extent and people are taking notice, but their different personalities don't mesh well IMO, even if they do get along personally. The team is much better, but there's no identity IMO, because Luck acts so much different from Nelson. You pull this stuff out of thin air. And you worry and fret WAY TOO MUCH over what you THINK other people think of the Colts. This stuff eats at you. And there's no reason for it. Just focus on what the Colts can control and not what other people think. It's worthless and counter productive. You'll live a happier life. Of course we have an identity. -- We win the line of scrimmage. -- We impose our will on you. -- We do this for 60 minutes. How is it that you don't know this? Why is this news to you? And again, why you worry about the stuff you do is a complete mystery. A waste of your time. Thats always a problem here. A person reads something and we tend to sway those views to the extreme case when that usually isnt the intention. i know not what i do. i assure u tho, i am harmless..... to Colt fans..... NE? I cant promise anything. Uhhhh... @Nadine... @Superman... clean up on aisle one. I guess you oughta bring a mop. I find a lot of what you're saying interesting and perplexing. You'll take your own anecdotal and subjective experience over some study? You were the one who brought up studying psychology, and @Superman correctly stated that everyone responds to situations differently, but you choose to ignore established science in favour of your own subjective experience? Also, the whole point of the article was getting player feedback on Luck's actions. That's the exact data that they were looking for, if you want to put it in those terms. Now that they've gotten that "data" and are presenting it, you again choose to ignore it. What you're really saying is no matter how well-established anything is and no matter how many people disagree with you, you're going to believe what you want. That's a very short-sighted and close-minded attitude for someone who claims no one studies psychology anymore. No one said he's too mean. Just that some of his actions could improve. I think every Colts fan appreciates what Nelson brings to the team on and off the field, but that doesn't mean he's infallible. didnt waste my time reading after 1st paragraph because suddenly context is changing. best to drop the whole darn thing as what you are saying could not be further from the truth. Mod note: Gonna go ahead and close this for now. Tempers are flaring, and there's a lot of personal shots and bickering that don't belong on the board.